Morrisville, N.C. (January 23, 2019) – Nufarm Americas announced it has received registration in California for Traction™ Fungicide. 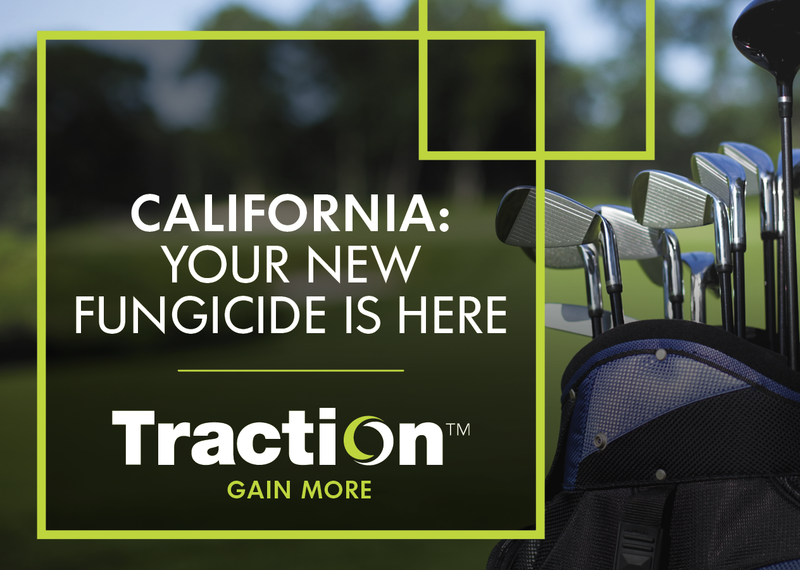 Traction fungicide provides a new management tool for disease control and resistance management in cool- and warm-season golf course turf. Traction launched last year, offering the market a novel combination of FRAC 29 and FRAC 3 modes of action. Traction fungicide’s dual actives work on-contact and systemically within the plant to provide effective broad-spectrum control of 19 turf diseases and algal scum. It has been shown to provide strong performance against major golf course diseases, including California-prone pressure such as dollar spot, leaf spot, snow mold, and large patch. Traction fungicide is available in a convenient specially designed and university proven premix formula for foliar turfgrass diseases. It can also be applied across all golf course settings, including fairways, tees and greens. As a leading supplier to the golf superintendent, Nufarm’s US Turf and Ornamental team delivers a portfolio of products meeting the value, efficacy, and innovation demanded by the market to solve the daily pest issues you face. Trusted products such as Stellar, Affirm, 3336 and Millennium Ultra 2 have been your go to products for years and innovative solutions such as Anuew, Pinpoint and Celero are more recent Nufarm solutions. An unsurpassed customer service team coupled with the sales and technical resources, all with a mission to solve your problems, sums up the personality of your Nufarm team. We are here to help you grow a better tomorrow, today.